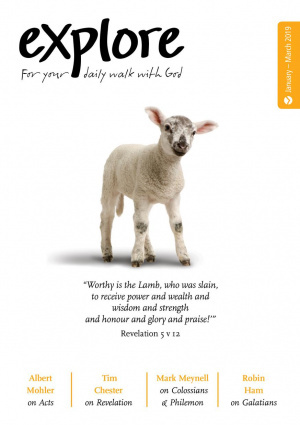 Explore (Jan-Mar 2019): For Your Daily Walk with God by Carl Laferton was published by Good Book Company in November 2018 and is our 18062nd best seller. The ISBN for Explore (Jan-Mar 2019): For Your Daily Walk with God is 9781784982409. Jesus. Who, why ... So what? Be the first to review Explore (Jan-Mar 2019): For Your Daily Walk with God! Got a question? No problem! Just click here to ask us about Explore (Jan-Mar 2019): For Your Daily Walk with God.